I want to thank you guys so much for taking such good care of the kids for their winter formal !! Christian was wonderful and the kids had a night they will never forget ! This is the third time we have used Amore, and we will always return to you when we need limo services. Best value, best customer service, best everything ! From the moment I contacted you for a quote, to the moment the kids returned, everything was perfect. We really are appreciative of everything ! When compared to another company that some of the kids used, we found you guys to be less expensive, more accommodating (i.e. allowing drinks), more responsive and treating the kids with respect (not like just a bunch of “kids”) !! We will highly recommend you every time. I just wanted to send you a sincere thank you for the excellent service you and your staff provided for the Carnegie Rochester Conference held at the Tepper School of Business, Carnegie Mellon University, this past weekend. From the scheduling of the limos and vans to the various changes I had to make, these were handled with immediate response and with great expertise. Each limo and van arrived right on time which was a great comfort to all of the participants. Thank you, again, for the excellent support you provide for all of our transportation needs. Thank you so much for your great service on our wedding day! The driver was prompt and friendly. The limo was clean and roomy. We'll definitely recommend you to others! I'd like to thank Marie for the lovely ride to Hyeholde Restaurant and her assistance and TLC in helping my mother into and out of the limousine. Her driving was very smoothand she executed backing up the length of the block in the dark expertly. 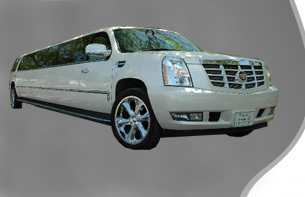 Excellent service once again--we've used your limos 2x now and both times were great. Keep them ready--prom season is just around the corner! You'll be getting a call for that soon. I just want to take a moment to compliment your company on the wonderful experience we had with your limousine service. We rented an eight passenger limousine for a concert for four mothers and our four daughters. Landing tickets to the highly-anticipated show was wonderful in itself, but we decided to surprise our girls with their first limo ride. Our experience with your service and your driver, Chris, made the night both magical and memorable for our daughters (and the moms, too). greeted with the most pleasant voice on the other end of the phone. Our pickup time the day of the concert was 5:30 p.m., and Chris arrived at the EXACT time. He was so friendly to us and our girls, and he didn't seem to mind all of the screaming from the four third-graders in the back of the limo! Thank you again for the wonderful job Chris and your entire staff did to make our experience all the more memorable. If I ever need to refer a limo service to anyone, I would definitely recommend your company. Comments - The service was terrific. Randy was punctual and very professional - we appreciated his sharing the "rules" with all the prom couples. The limo was spotless. Comments - I have already refered the service to several people. I hope they make arrangements with you and have as wonderful an experience as we did. I rated both above as a "1", I hope that is the highest rating and not the lowest. I would just like to tell you that I was very impressed with your service. The limousine was very nice and the driver was excellent. I wanted to thank you for everything and I look forward to using your service in the future. I just wanted to send you both a quick note to say thank you for the wonderful service that we received on Saturday night. Everything went extremely smoothly, my husband (and children) were surprised, and our driver, Jim, could not have been more helpful. He was punctual, considerate of us all (young and old) and helped us make it to Mount Washington to cap off the evening, despite our being close on the time. You helped to make our birthday celebration all the more special and we can't wait to find a reason to call you again in the future. Thanks again, and please pass along our appreciation and gratitude to Jim. Please forward this to your Manager. I just wanted to thank you again for a job well done yesyerday! We could not have been more thrilled with the level of professionalism and cooperation your company displayed! We would love to have you work with our future events. We just wanted to send a BIG thank you to your company and your driver Marie. This was our first experience with renting a limousine and we found your service exceptional and very affordable when compared with other limousine companies in our area. Your driver, Marie, was courteous, friendly, and put our minds at ease with the 5 T.J. High School Prom Couples she was transporting that evening/morning. The kids had a great timeand enjoyed the personal touch that Marie produced when picking up and dropping off at various places. We will DEFINITELY be repeat customers next year and will recommend your service to family and friends. I would like to thank you for the excellent service provided to 16 young adults from Thomas Jefferson High School. My son was among the group and he indicated that Brian, was an excellent driver. The "guys" especially appreciated the regular updates that Brian provided to them regarding the NFL game score between the Panthers and Bears. The parents and I felt very comfortable with Brian and completely entrusted with the safety and welfare of our children. I will gladly recomend Amoré Limousines to family and friends. In fact, we will calling upon your services next year for the Senior Prom celebration. I wish you, Brian, Michelle and the other men and women of the Amoré team, continued success. us with a limo and the wonderful customer service when we called regarding our wedding. of your company's pleasant professionalism. Thank you again for everything. for your company's service for our wedding on July 19. Just a note of thanks for your limo service for Lisa and Scott's wedding at Phipps conservatory in Pittsburgh. We were pleased with your service and especially want to compliment your driver Pam for her courteous, prompt, and professional attitude that made our travel to and from the wedding a most pleasant experience. Her driving ability with the large size limo was expertly handled. If we have the need for your service in the future we will request her as our driver. Thanks again for your service. I haven't sent out a formal thank you to you yet but everything was great!! I can't begin to thank Pam enough or compliment her enough!! She was great!! Helpful like you wouldn't believe and so professional...I will recommend her to everyone I know!! The limo was beautiful!! Everyone was impressed.I will send you some pictures so that you may use them if you like. We really enjoyed ourselves and thank you for the best service we've ever received. Again I can't stress enough how great Pam was and how she helped make for a smooth wedding. Especially with a nervous bride. Everyone including my family loved her!! I just wanted to say thank you for the great service on May 29th. Your driver was extremely nice and the kids really had a good time. Hopefully next time we won't have to bother you so many times we'll be experienced limo renters. THANK YOU for making my daughter's wedding a very special occasion. Your service was excellent!! Pam, our driver was the BEST!!!! She was very professional, courteous, and helpful. If I ever need a limousine service again I will surely give you guys a call and I will also recommend you to all my friends. Just wanted to let you know that our driver Harry was the best! The service, personality, attention to detail and accomodating us in everyway was greatly appreciated. I have rented many limousines in the past but this was the first time we actually felt that our business "to you" was appreciated and not taken for granted. The next time I or the many friends that we shared the night with need a limousine, we will definitely call Amoré Limousines and make sure Harry is the driver. Thanks Harry for a memorable New Years Eve! Just wanted to send a note to let you know how much we appreciated your service. It was my parent's first limo ride and they had the best time! Rick could not have been more professional, not to mention kind. On a closing note, you were a pleasure to work with and we will recommend your service whenever we have the chance. Thanks again! ...In addition, your level of service stood out among your competitors and that is one of the main reasons that I chose Amoré. Thank you for your assistance. Just wanted to say thanks for being so cooperative and patient with us. Our limo ride was definitely the highlight of all of our nights...The limo was also the best looking one there! Thanks again! Thank you so much for the opportunity to discuss the rental for the girls night out to see Bon Jovi in Concert on March 24th 2003. I greatly appreciate you taking the time to review your night; step by step to me and ALL of your information! Especially your great rate. I will be sure to contact you once I receive all of the money from the girls to book our limo. I look forward to working with you and for making this night be even MORE possible with your affordable rate. On behalf of the Dameron's, thank you for a very classy and exciting evening! We all had too much fun which will definitely be remembered! Bill treated us like queens and hope that he will be given the recognition he deserves! Thank You, Thank You, Thank You! Everything was AWESOME! Hi this is mike, you took us to the theater & Hartwood Acres on Saturday. I just wanted to drop you this note to tell you thanks. We all had a wonderful time. It was quite an experience for Beverly and I to be in a limousine for the first time but it was really something for a six year old. Micheline was really wowed by everything. I also want to thank you personally for being so conducive to my last minute changes of plans. I look forward to doing business with you again sometime in the future. Thank you for being part of our wedding day. We appreciate your service & for getting us around safely that day. Thank you for making our day special. I have overcome the fear of "limo service". We really appreciate your honesty and your flexibility in the service that you provided for us. Especially with us being so unfamiliar with this particular service. Our friend and the kids were sooo suprised! Thanks again for everything and if we ever need a limo service again we know who to call. bachelor party and look forward to using your services in the future.